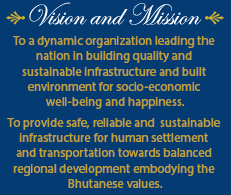 The primary objective of the Division is to understand and reduce the vulnerability of the community to flooding and manage the flood risk through “engineered construction”, in a consistent and effective way throughout the country, thereby minimizing the impacts of floods on human safety, health, and welfare. •Identification of flood prone areas. •Carry out Flood Risk Assessment Studies. •Maintain Database of Flood Prone Areas and its protection measures implemented. •Fortification of towns and communities from flood. •Reclamation of land from flood plains. •Design and Construction of Appropriate Flood Protection Measures. •Design and planning of urban Drainage System. •Provide assistance to Local government in Implementation of Flood Protection Projects.